One of my favorite songs of 2012 happened to be the indie dance track “Dirty Talk” from Oliver, the DJ/producer duo of Oliver Goldstein and Vaughn Oliver. The two have released on most of my favorite electronic labels, like Kitsune, Fool's Gold, and Ed Banger, serving up a slightly calmer beat than my normal tastes. 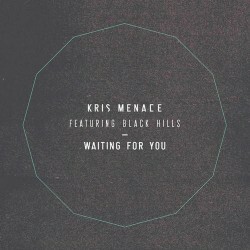 Today’s remix sees them spinning Kris Menace’s track “Waiting For You” anew, scaling back the BPM and heavily distorting the vocals. What you get is a more mysterious track that seems to fade into the late night hours, when reality and dreams start to blend into each other. Oliver’s reimagination is only part of the remix EP, so take a listen to all the tracks on Beatport and decide which one is your favorite.